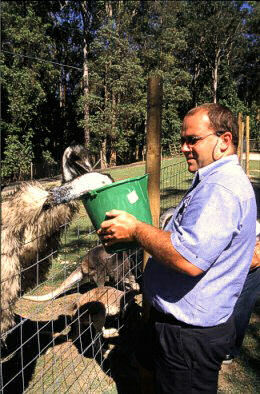 When we were there in the afternoon and Matt arranged a bucket of pellets to feed kangaroos and emus legally, they pretended to be starving for days. 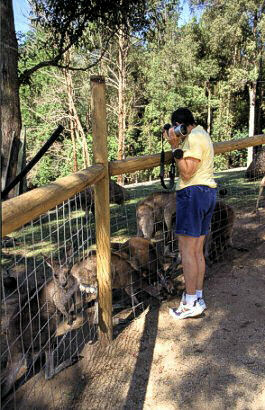 Of course they are not, but regarding a free meal animal behaviour is not much different from human's. The greedy approach to buckets and streched hands makes natural looking pictures nearly as difficult as they were in the wild.